I hope you guys had a wonderful Christmas. I thought I would share with you guys what I got for Christmas because it's always fun to see what people got on Christmas. 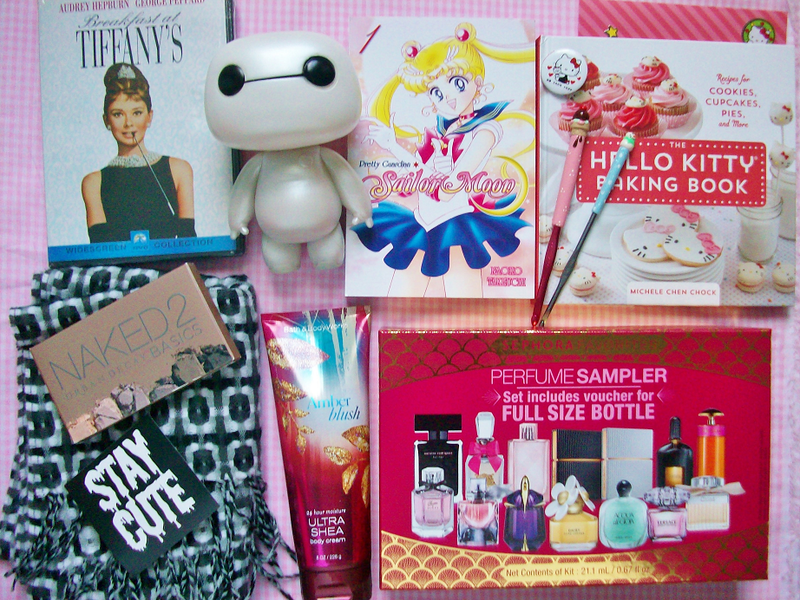 I received a some really cute stuff too! Enjoy! After weeks of crocheting a bunch of Baymax for other people I finally got one myself! He's so cute! 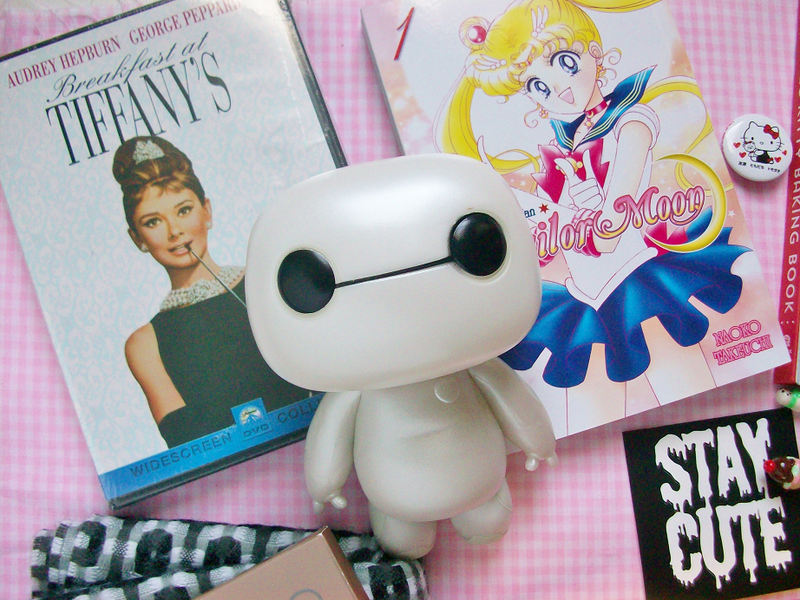 I also got Breakfast At Tiffany's (I have a weird obsession with that movie and Audrey Hepburn) and my sister gave me the first manga to the pretty guardian, Sailor Moon. 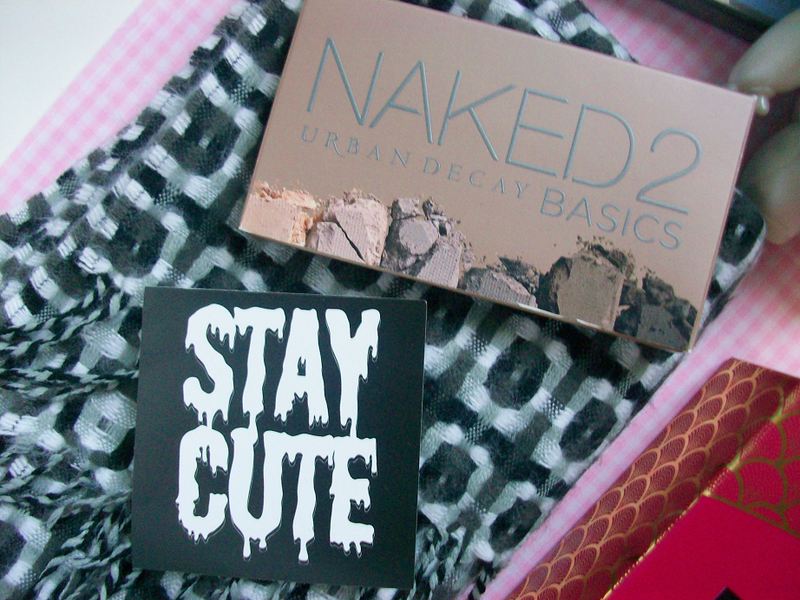 My mom got me that scarf and my younger sister got me the Naked 2 Basics palette. So excited to use it! In my stocking I found a STAY CUTE sticker. 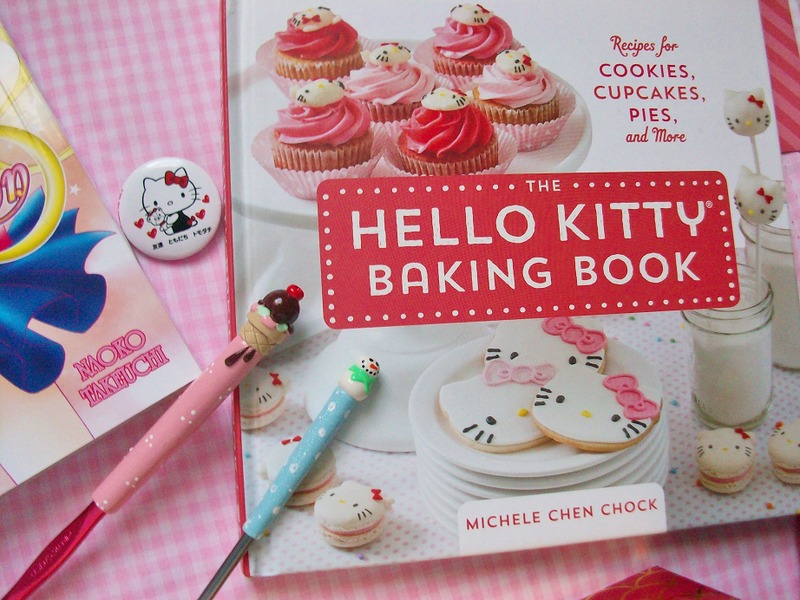 I got a lot of cute stuff from my older sister including these adorable crochet hooks, a Hello Kitty pin and The Hello Kitty Baking Book, she knows me too well! 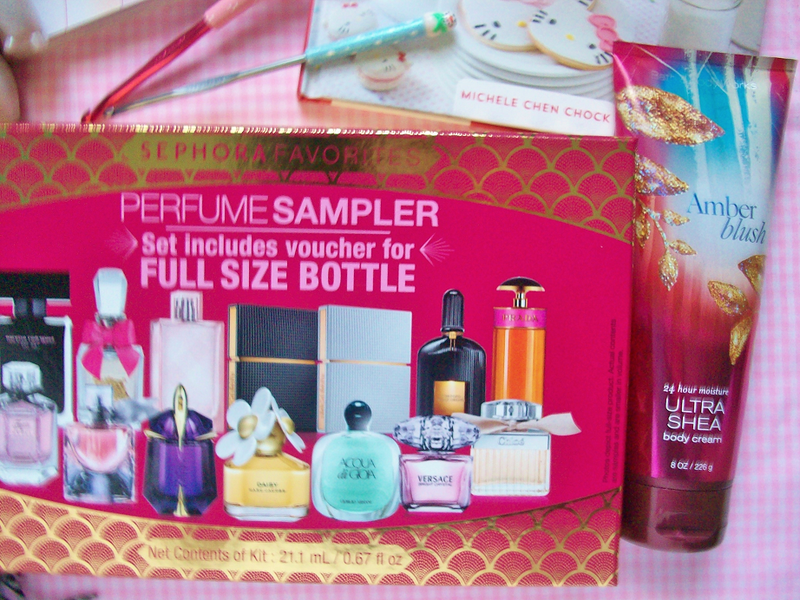 My mom got me an amazing smelling body lotion and this perfume sampler kit from Sephora. 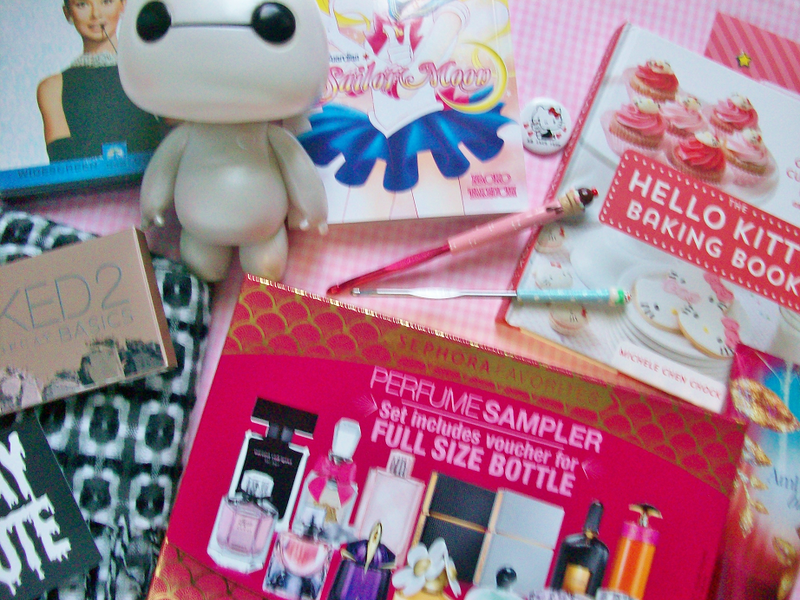 The kit comes with a voucher for a free full size perfume bottle. What perfume should I get?